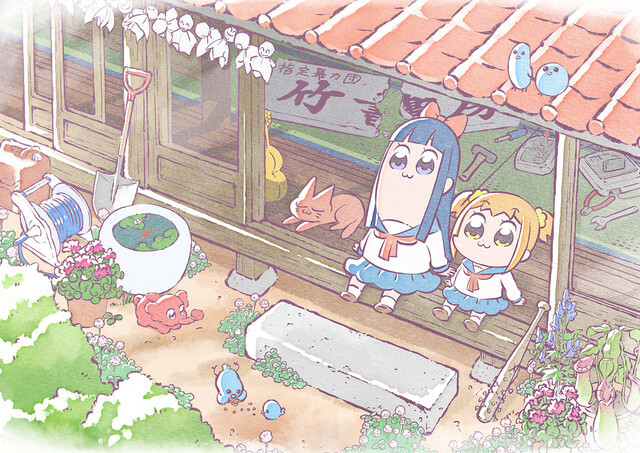 The TV anime adaptation of Bkub Ookawa's bizarre 4-panel comic Pop Team Epic is currently in development, and now the official website for the production has released a new key visual that hightlights the show's "healing" qualities. The new image features tall girl Pipimi and short girl Popuko relaxing on the threshold, presumably after a rampage that destroyed the Takeshobo offices. 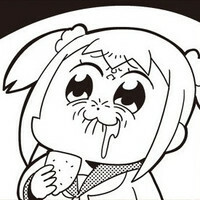 The original Pop Team Epic web comic by Bkub Okawa has been serialized in Takeshobo's Manga Life Win digital manga publication since 2014. 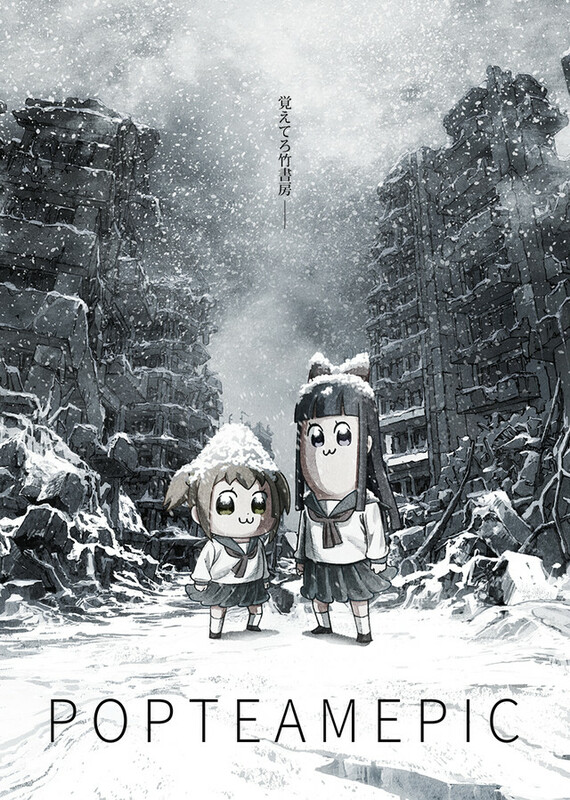 The Pop Team Epic TV anime features animation by Kamikaze Douga and production by King Records. Further details (such as the main cast, staff, and release date) have not yet been revealed.